Too many family dates and documents to remember? 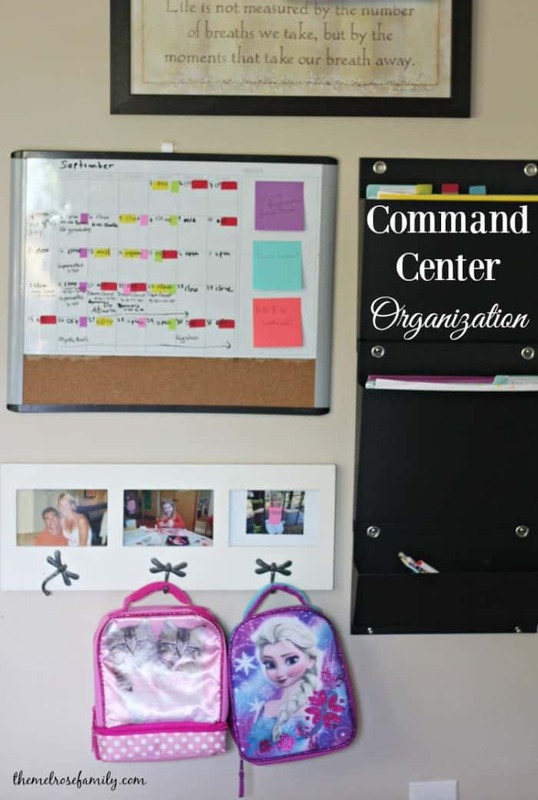 Command center organization can make all the difference in getting your family to and from events while remembering all the important documents in between. 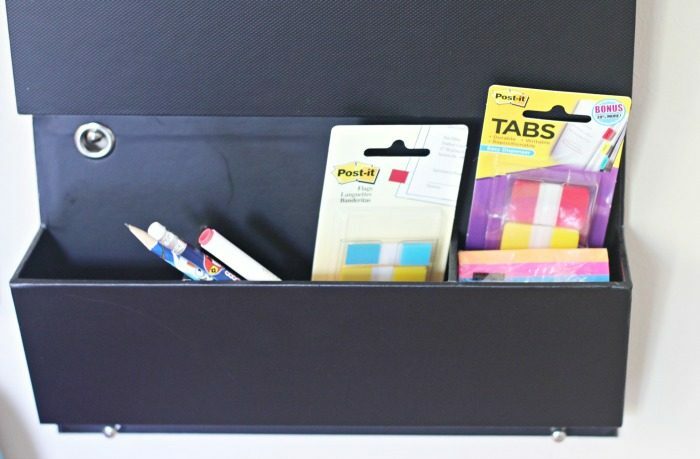 A couple simple tips and tricks will have you ready to start the new school year off organized and ready to go. Create a Command Center in a visual part of your home. Our Command Center is right in our breakfast nook. It is the first thing we see when we sit down to eat so my first grader can make sure she has everything she needs for school as well as knows what activity she has after school. Plus, she can see a month at a time so it’s a great way for her to count down to fun trips or exciting events at school. Keep it color-coded with Post It®. As a family of four we have a very busy schedule. Especially since my husband works retail and his shifts change daily. 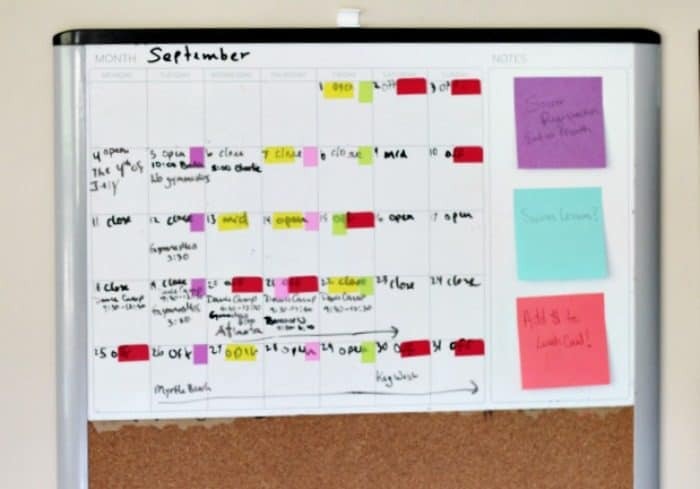 If we didn’t have our calendar color-coded with Post-it® Tabs, Flags and Notes it would take us double the amount of time to figure it all out. I designated the Post-it® Tabs for my husband’s schedule so that we can see at a quick glance whether he is opening, closing or working a mid. Plus the tabs are easy to reposition so that I don’t need to start over each month when his new schedule comes in. I can just pull them off and set them with the corresponding shifts. We use the flags to designate the girls activities. Riley gets pink and Avery gets purple. The colors let them know when they have an activity like dance, gymnastics, swim or soccer after school. The tabs and flags are especially helpful to my three year old who isn’t reading yet. She’s learned what each color means so she’s as up to speed with the family agenda as the rest of us. You can find Post-it® Brand products, along with all your back to school needs at Walmart. Keep your notes with your schedule. For the longest time I would leave my Post-it® Notes all over the house with reminders. The issue is that I usually never remembered because the Post-it® Note wasn’t right in my face. Once we started including our Post-it® Notes on our calendar it made life so much easier. Whether it was to add money onto my first grader’s lunch card or for my husband to pick up dog food on the way home from work, it was right there at our command center as a reminder. Plus, we then had our little reader reminding us what our Post-it® Notes said because she’s obsessed with our family calendar. Keep important school information accessible. We added the file folders to our command center because I needed somewhere to keep all of my first grader’s pertinent school information. I use Post-it® Flags and Tabs to help me mark the sheets that I use on a daily basis like her reading log or sight word sheet. This way it is easy to grab the Tab or Flag and have the rest of the paper come with it, rather than fishing through every piece of paper that came home from school looking for the one that I needed at that time. 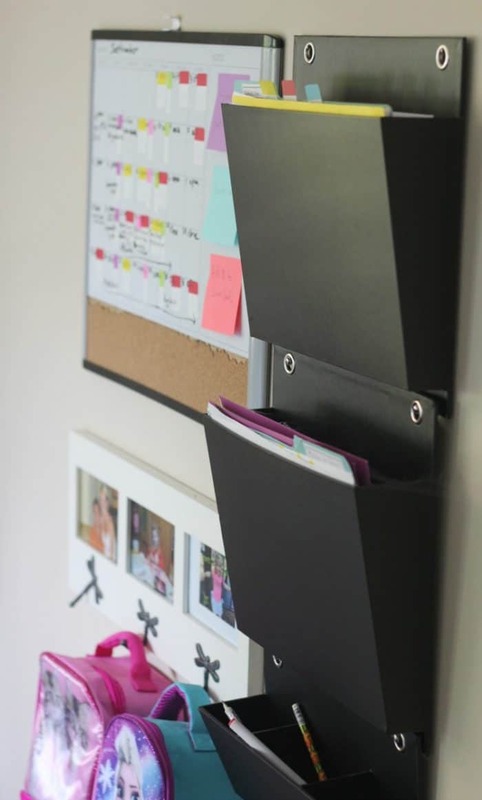 What are some of your back to school organization tips and tricks? This is a sponsored conversation written by me on behalf of Post-it®. The opinions and text are all mine.